Crush 2 cups of potato chips and set aside. Beat together butter and sugars in a mixer on high until fluffy, about 5 minutes. Add in eggs and vanilla and beat well until creamy. Beat in flour, baking powder, baking soda, and salt. Mix until combined. 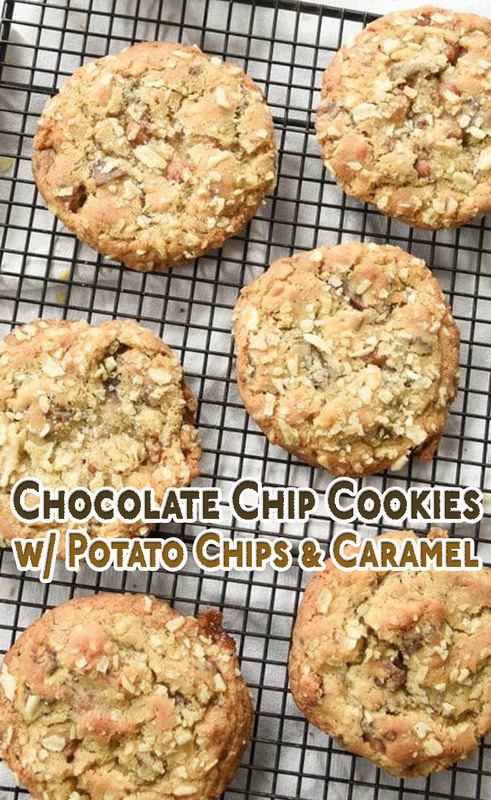 Add in 2 cups of potato chips, chocolate chips and caramel bits and mix until combined. Roll dough into balls and roll in the crushed potato chips. Place 2 inches apart on cookie sheet and bake for 15-20 minutes.